This time team fashion Glint comes up with J. Kurta collection 2018 that you can wear this eid to look seamlessly elegant yet beating the heat. 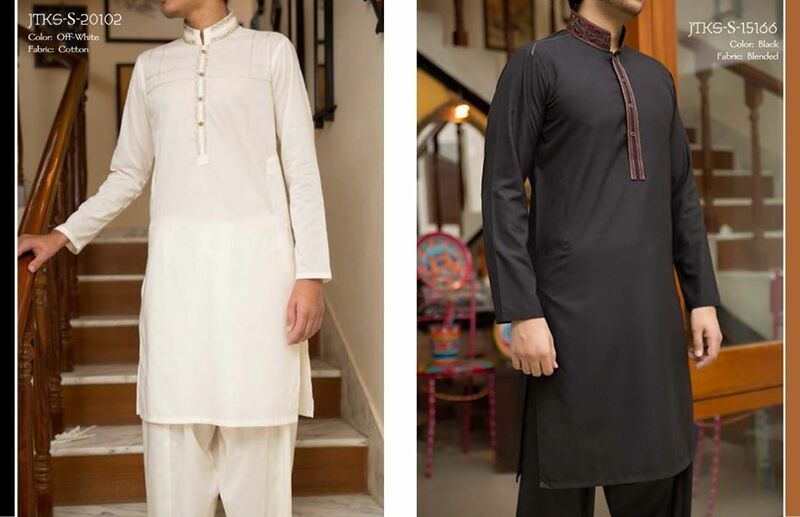 Eid is just around the corner, men & women are looking for outfits for the holy month of Ramadan and eid, so this post features Junaid Jamshed Eid kurta collection 2018 that consists of kurta designs 2018 for men and boys. 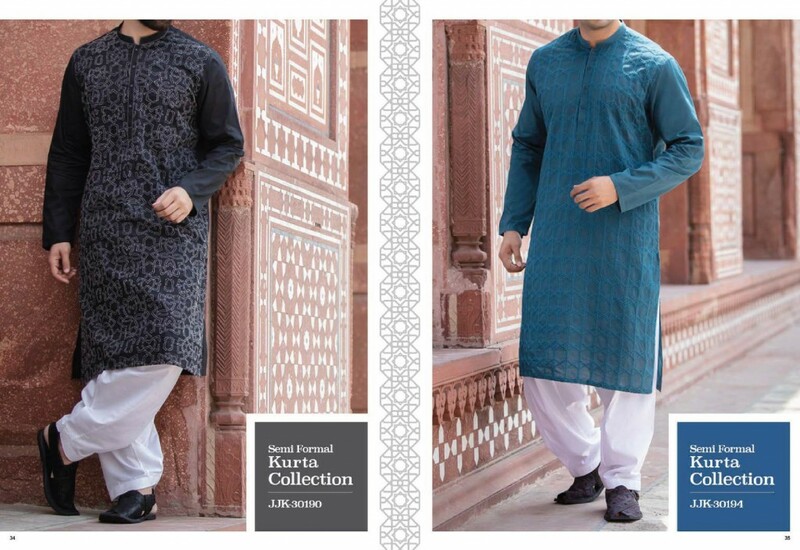 Mens kurta designs Pakistani is essential festive wear to celebrate Eid with religious spirit. 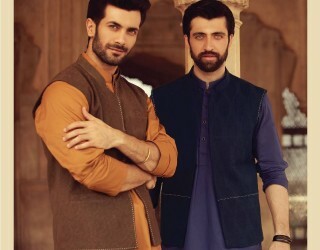 Therefore this post is all about men kurta design collection 2018 by J.
Junaid Jamshed brand is one of the admirable men clothing brand in Pakistan when it comes to men kurta designs for casual and formal wear, sherwani designs for the groom, fragrances for men, men shoes and sandal collection. Recently, Junaid Jamshed has launched new men kurta collection 2018 that consists of a huge range of best men kurta designs with embroidery, plain kurta, and printed kurta. 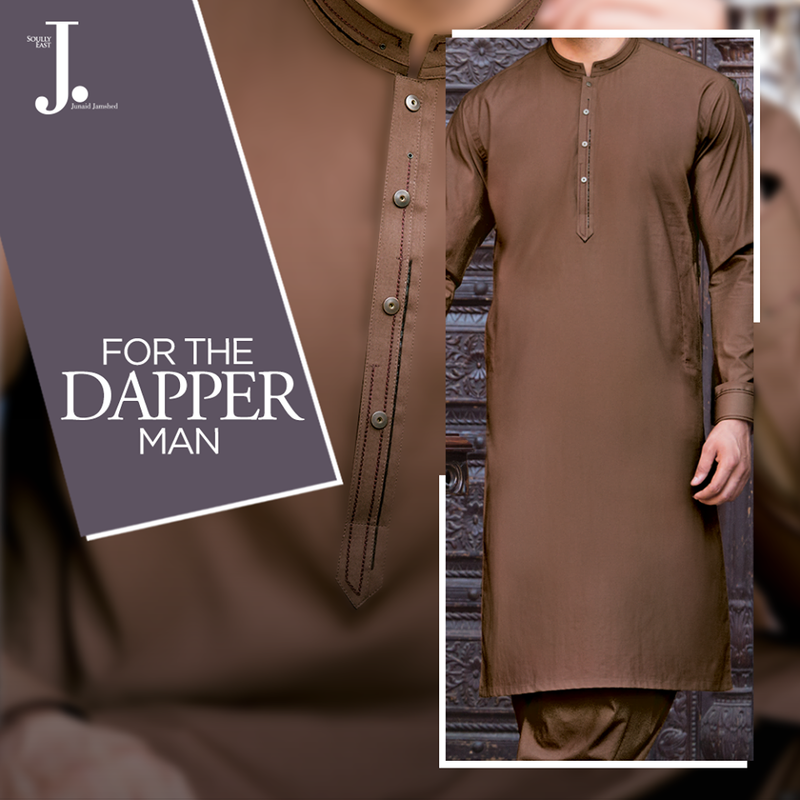 J. is offering a wide variety of gents kurta designs for all sort of customers in light, dark, plain, printed and embroideries for this festive season. Fashion Glint Tip 1: Wearing a classy waistcoat with kameez or kurta can take you to the next level of style. If you really want to pull your style while wearing kurta or kameez go for a trendy waistcoat. For this check out our post which is all about waistcoat designs for men. You can also explore our other men fashion essentials to groom yourself more latest men hairstyles , men sunglasses and much more here. 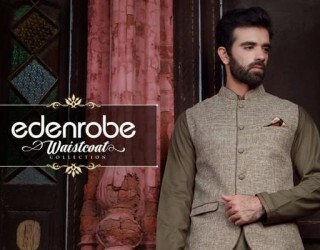 In last decades there were very few men clothing lines but nowadays a number of designers and men clothing brands are offering men kurta collections, shalwar kameez suits, pant coats and waistcoat designs for shalwar kameez. 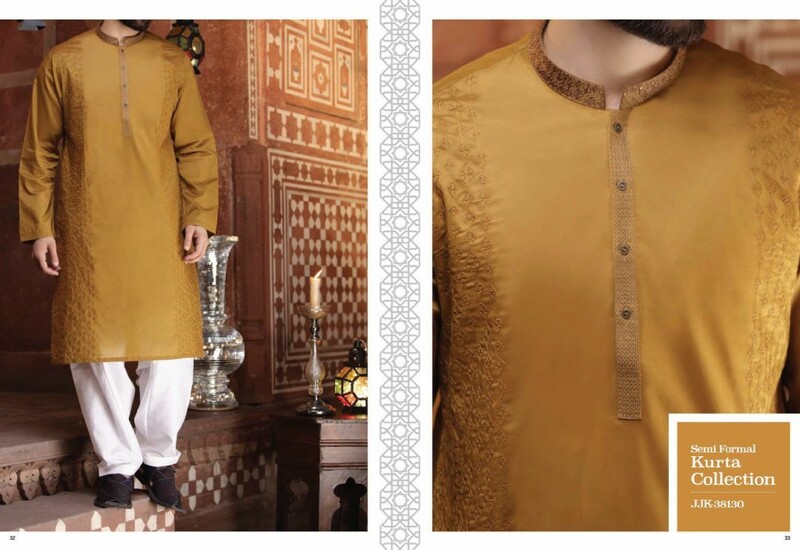 Following Pakistani clothing brands are offering men kurta collections for formal and casual wear. 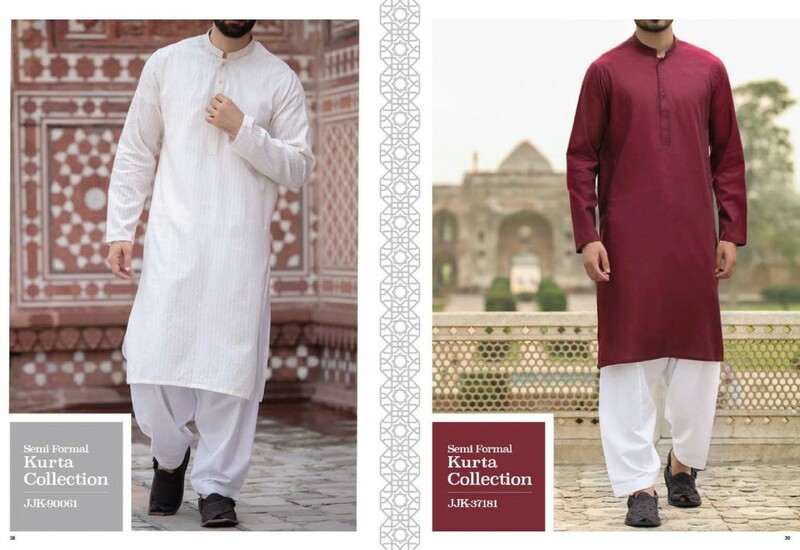 Eid is close and you must be looking for elegant men kurta designs to offer Jumma and eid prayer, if so this post offers you a chance to explores J. gents kurta collection 2018 for Eid festival. 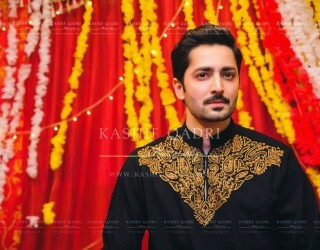 And if you want to add some extra traditional kick to your eid attire grab a nice waistcoat design along with kurta, see my article waistcoat designs for men and boys. 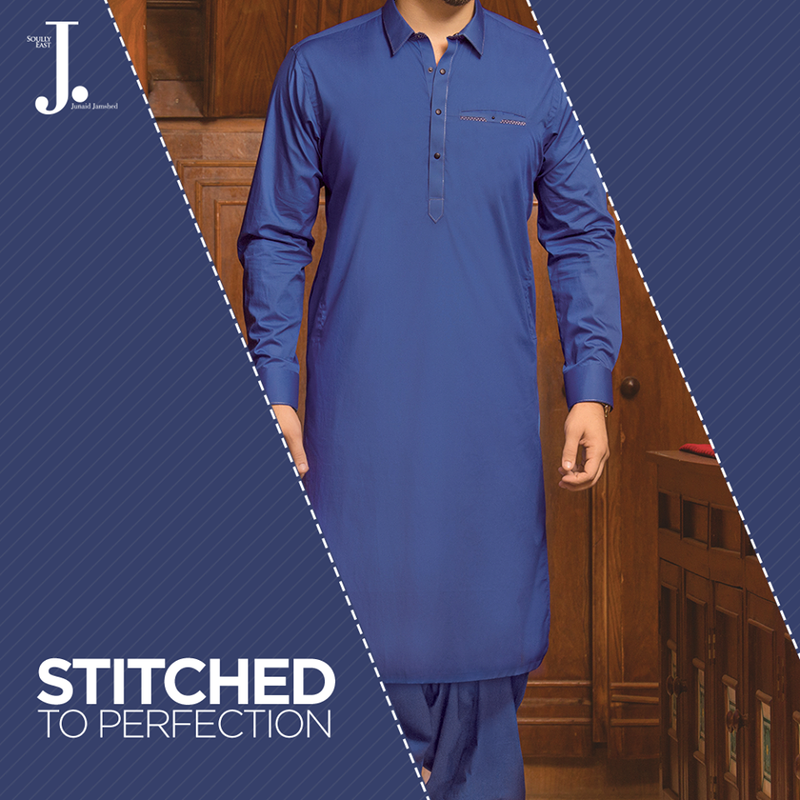 This eid kurta collection is a true presentation of J. original craftsmanship and top quality stitching. 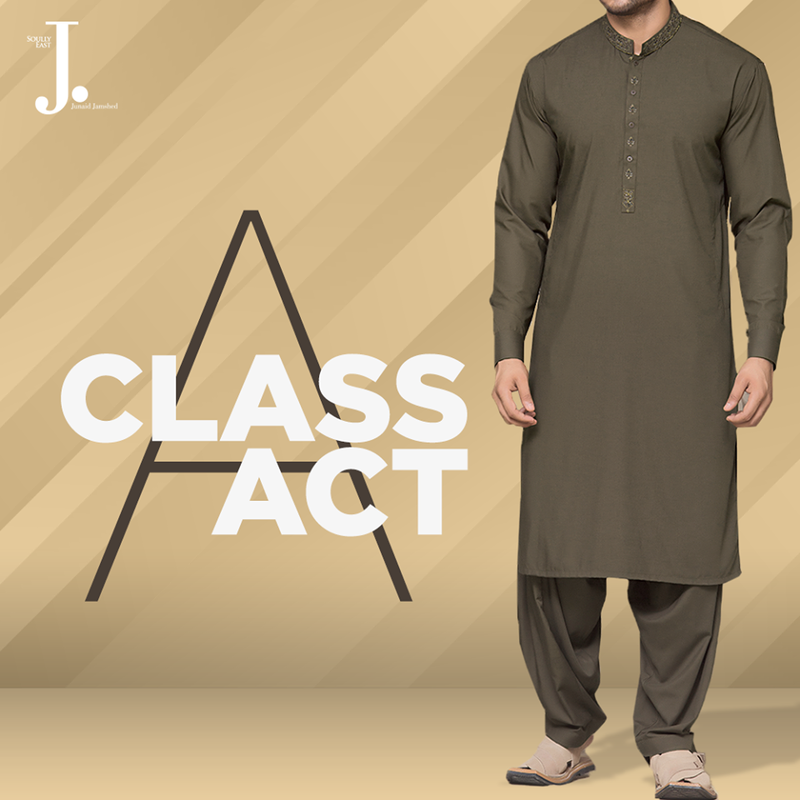 Below I have shared wardrobe essentials from J. latest men’s kurta collection for eid with price, explore the attires and find perfect number for you to celebrate Eid with ethnic essence. So far these men kurta designs are our favorite for eid, let’s have a look on these gents kurta designs for Eid. 1. Off White Eid Kurta by J. This off-white ensemble with embroidery on neckline and the metallic accent is wardrobe must-have for the holy month of Ramadan or for Eid prayer. This J. kurta price is 4,985 PKR. 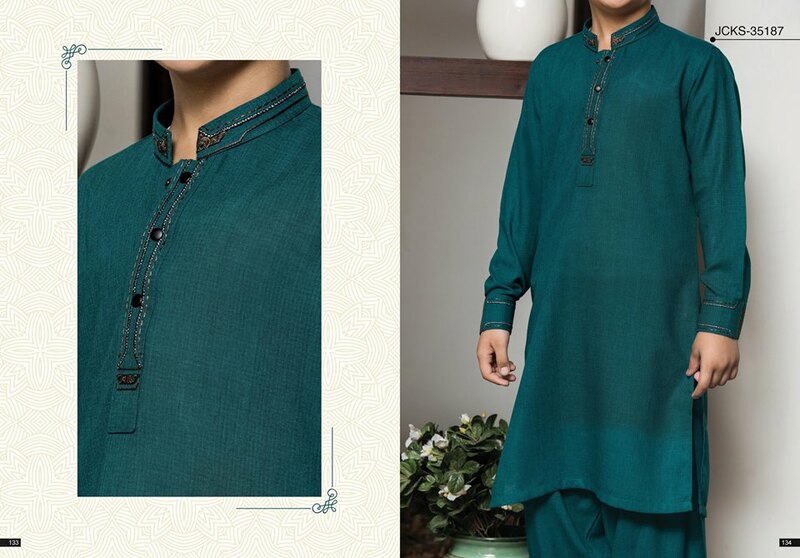 This deep green kurta shalwar with collar details and the top quality fabric is another wardrobe essential if you really want to make a gentleman like a statement this festive season. This ensemble worth 5,985 PKR. This zinc colored embroidered shalwar suit is best for night eid party and it costs 2,985 PKR. 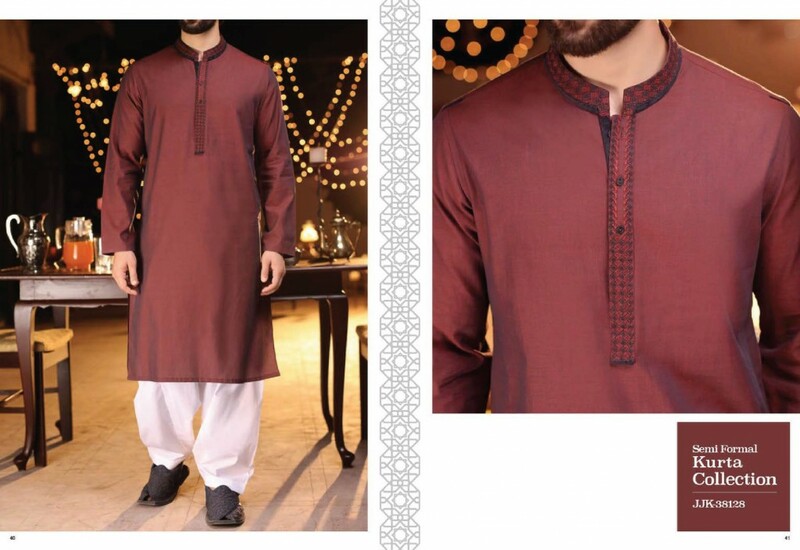 This maroon kurta shalwar with embroidered details on collar and cuffs would be a nice option for eid dinner or lunch. This J. kurta price costs 2,885 PKR. 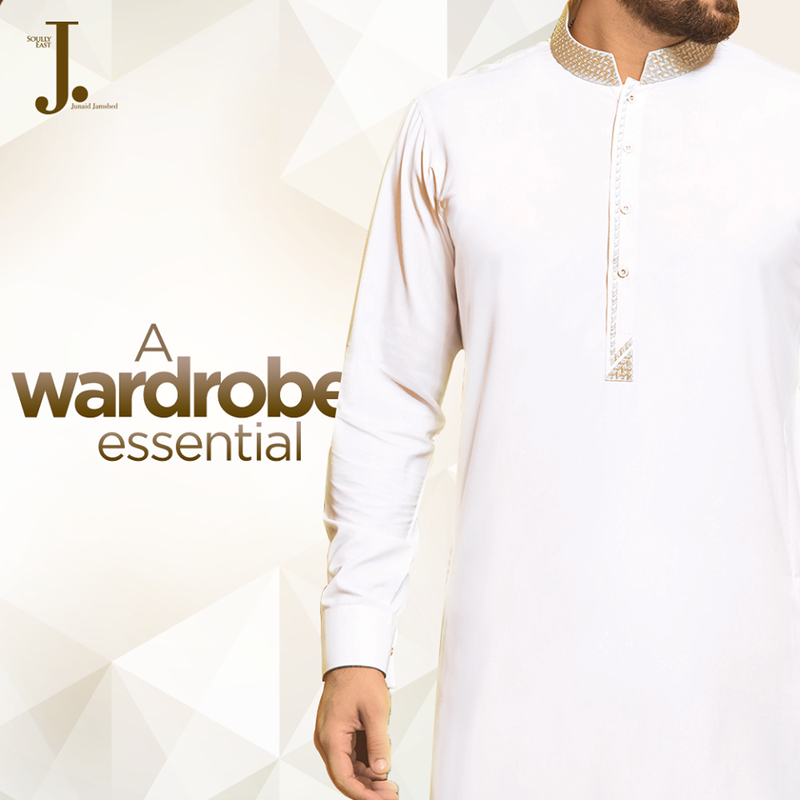 For the Holy month of Ramadan and for eid white suit or kurta is must have so must buy a white outfit to achieve elegant looks. White embroidered kurta is worth 3,685 PKR, while this white casual suit costs 4, 785 PKR. Fashion Glint Tip 2: If you are fed up by wearing same kurta or shalwar kameez. Go for a kurta pajama and wear it with khussa shoes this will give you a festive look for eid or wedding. This is another striking shalwar suit with embroidered details on the neckline. Go for this to make a dapper impression on this occasion. This J. men shalwar suit costs 5,385 PKR. J. blue kameez suit is another perfect pick for Eid celebrations, this vibrant blue ensemble is worth 4,985 PKR. 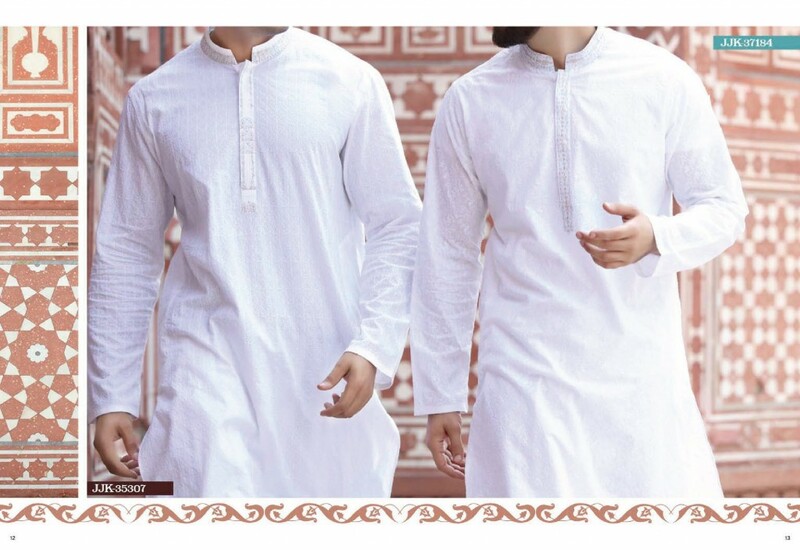 Above you explored j. eid kurta collection 2018, I hope you admire these kurta designs for men and got necessary inspiration about what to wear for Eid prayer. Let us know what you prefer to wear for eid through the comment section below, we would love to hear from you and don’t forget to follow us on social media for more updates.